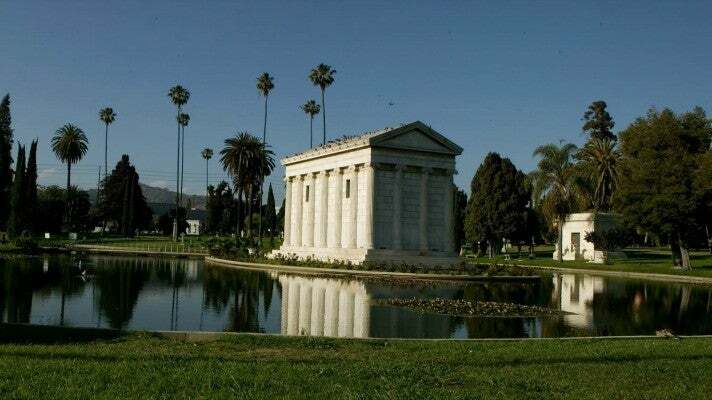 Founded in 1899, Hollywood Forever Cemetery serves at the final resting place to more of Hollywood’s founders and stars than anywhere else in the world. 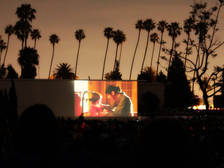 Listed on the National Register of Historic Places, Hollywood Forever Cemetery was also featured in films such as LA Story and is a popular destination for movie screenings. 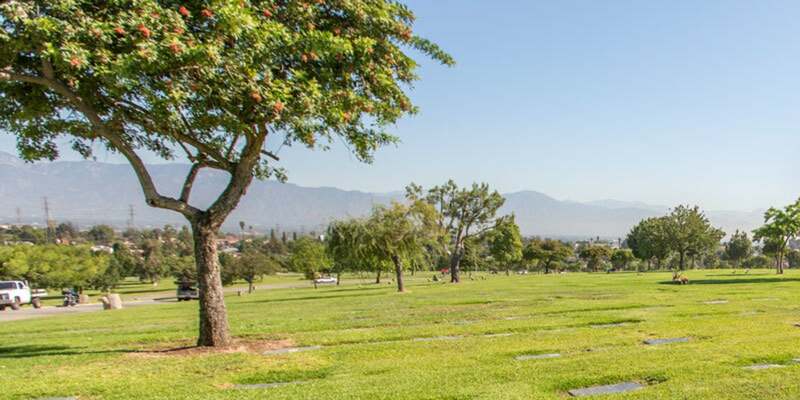 Visitors come from all over the world come to pay their respect to stars such as Johnny Ramone, Cecil B. DeMille, Jayne Mansfield, Rudolph Valentino, Estelle Getty, Douglas Fairbanks, and hundreds more of Hollywood’s greatest stars. 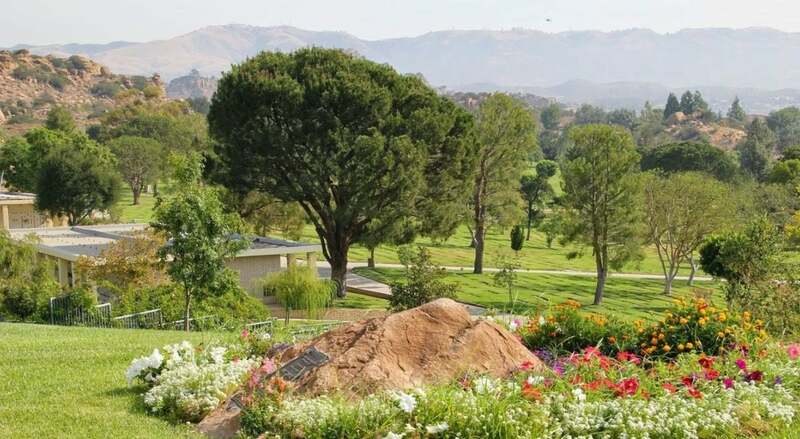 Tucked alongside the high rise office towers of Westwood, Pierce Brothers Westwood Village Memorial Park is home to some of the entertainment industry's greatest names, including Dean Martin, Natalie Wood, Farrah Fawcett and Truman Capote. 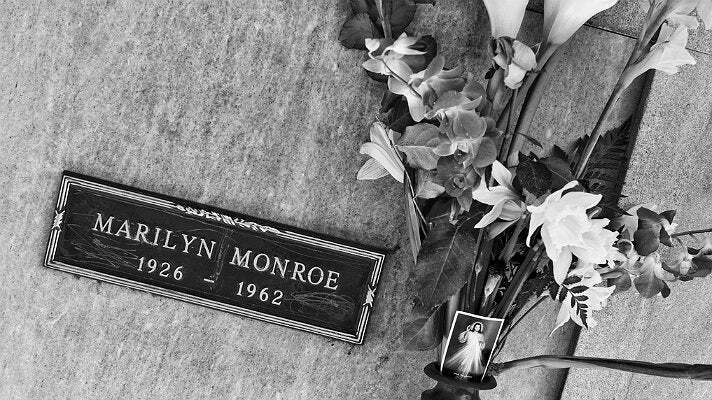 But its most famous resident is Marilyn Monroe, housed in the Corridor of Memories Crypt 24. Legions of fans visit the grave site and pay homage to the late star by leaving ruby-red lipstick kisses on her tomb. 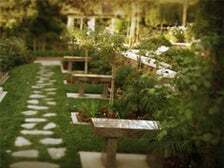 The Holy Cross Cemetery in Culver City sprawls across more than 20 acres and features lush gardens, ponds and statuary. 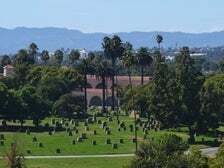 Founded in 1939, Holy Cross Cemetery is home to stars such as Bing Crosby, John Candy, Rita Hayworth, Bela Lugosi, Sharon Tate, Darby Crash and many more. 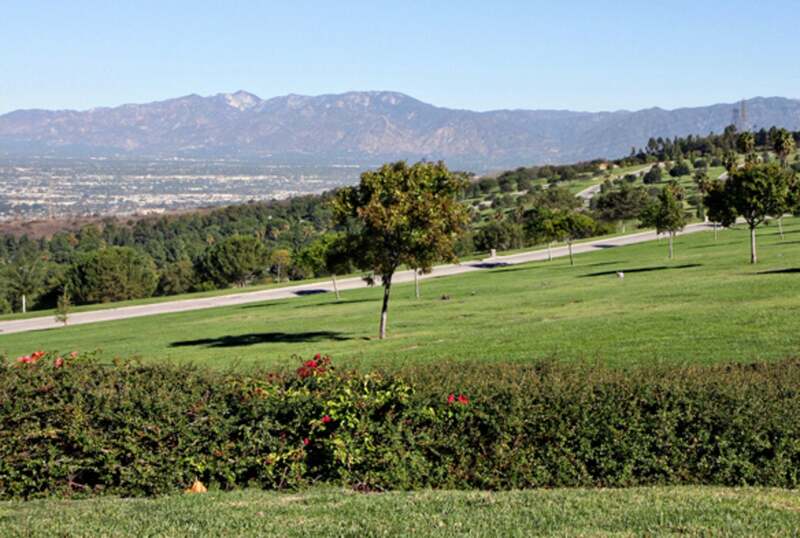 Forest Lawn Glendale has been a Southern California landmark since 1906. It has a world-renowned art museum, extraordinary statuary, and the Hall of the Crucifixion-Resurrection, home of two of the largest religious paintings in the western hemisphere. 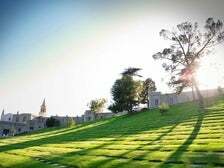 It’s also the final resting place for a Who's Who of entertainment royalty, including Michael Jackson, Nat "King" Cole, Clark Gable, Jimmy Stewart, Humphrey Bogart, Errol Flynn, George Burns, W.C. Fields, Sammy Davis Jr., Sam Cooke and Sid Grauman. Located close to Griffith Park, the idyllic Forest Lawn Hollywood Hills cemetery showcases a unique collection of artwork, larger-than-life statues and historic artifacts from the Olmec, Aztec and Mayan civilizations. 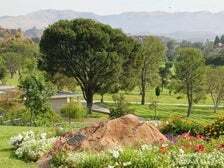 Fans also visit to honor the legacies of stars such as Bette Davis, Lucille Ball, Buster Keaton, Paul Walker, Stan Laurel, Liberace, David Carradine, John Ritter, Gene Autry and Brittany Murphy. 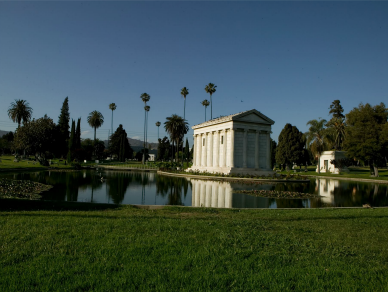 Inglewood Park Cemetery's serene setting includes gardens, skylights, fountains, and reflecting pools and is home to California's first mausoleum. 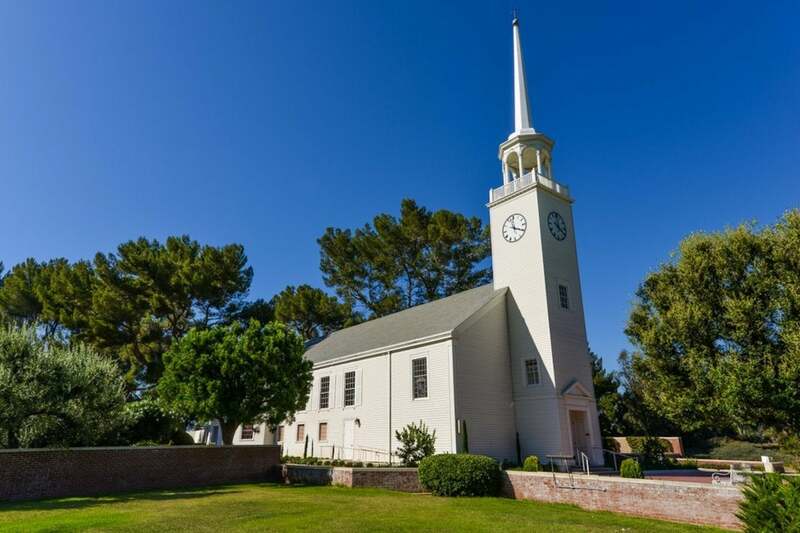 Visitors can pay their respects to music legends such as Ray Charles, Ella Fitzgerald and Etta James. The grave of boxing legend Sugar Ray Robinson can also be found here. 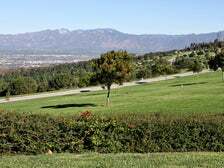 Oakwood Memorial Park, located in the San Fernando Valley, opened in 1924 and has also served as a backdrop for many a film setting. 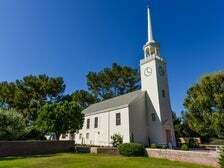 The graves of Fred Astaire, Ginger Rogers and Bob Crane of Hogan’s Heroes can be found here. 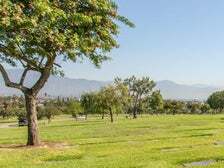 Rose Hills Memorial Park in Whittier has a long, rich history stretching back to 1914 and spans 1,400 acres, making it the largest cemetery in North America and the largest memorial park in the world. 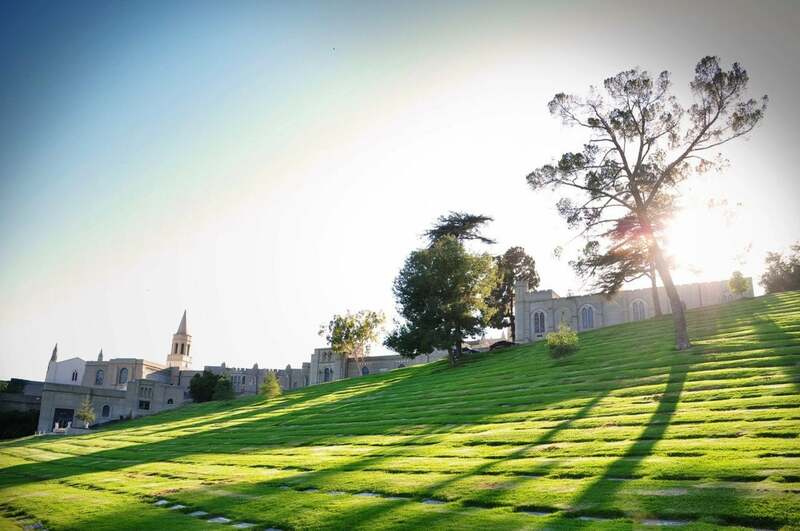 Featuring picturesque city views and stunning chapels, it is also the final resting place of famed choreographer Alvin Ailey and rapper Eazy-E.